Sara is dreading staying at a colleague’s wedding. So, when a call comes in that she's needed at a crime scene, she's happy to pick up and head out there. What she finds is a grisly scene and more questions than answers. Nolan is worried. His hometown is under some kind of siege. Women are going missing and turning up in the surrounding parks and caves. He knows that despite his history in a police department, that he's a good officer, but solving these crimes will take its toll. With minds that solve in different manners, Sara and Nolan will race to figure out who in this small town is targeting young women. They know it is someone they all know, but with the bodies piling up and the clues few and far between, it will take everyone pulling out the big guns to figure this out. 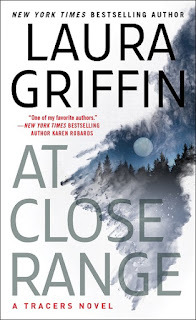 The suspense generated in this story was fantastic and I really enjoyed watching Sara and Nolan dance around their attraction and their feelings. I think their romance helped the story move forward, because when they start getting closer, it's their relationship that drives the clues and their ability to really listen. 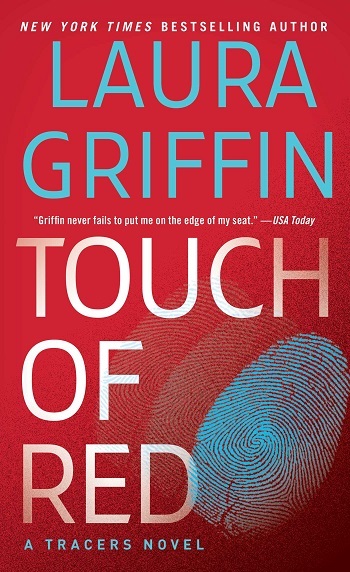 Griffin gives you a story that will have you sitting at the edge of your seat. I hope that Dax gets a story soon. I really enjoyed his character. 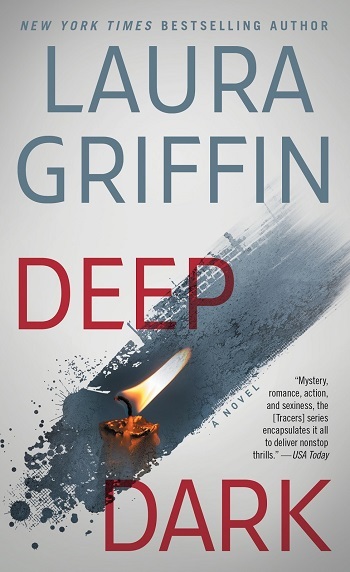 Detective Nolan Hess seeks help from anthropologist Sara Lockhart after bones are discovered in a gorge that Nolan thinks may be the remains of a local woman who went missing over a year before. Because this is a story that is told from multiple points of view, the reader knows that the killer already has another victim and it is likely that that one set of remains won’t be the only set for very long. Crime solving takes centre stage in this story and it is brilliantly done. I was completely absorbed with the story and watching the pieces of evidence come together and following Nolan, Sara, and their teams as they track down clues to find the killer. The romance between Sara and Nolan is a good break from the seriousness of the murders and it builds slowly. Both Nolan and Sarah are successful in their careers, independent, intelligent, and caring, and they are perfectly matched both in and out of the bedroom. I thought they were a great couple and I’d be happy to read more books just staring the two of them. 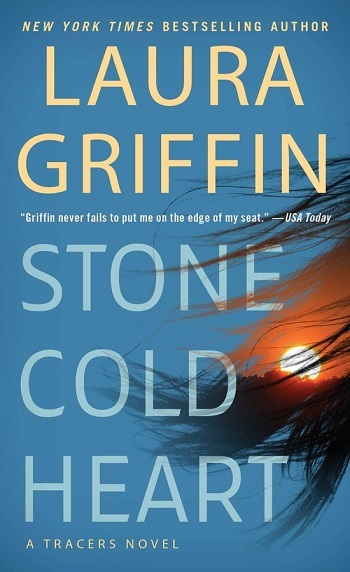 Stone Cold Heart is a fantastic story and if, like me, you love it when your romance book includes mystery and crime, you’ll love Stone Cold Heart. It is the 13th book in the Tracers series but each book is a standalone. I’ve only read a handful of the books in this series and each time I finish one I wonder why I haven’t gone back to read the others because they are all so good. A solid five stars from me. For reviews & more info, check out our stop on the Deep Dark Blog Tour. For reviews & more info, check out our stop on the At Close Range Blog Tour. 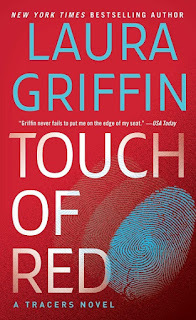 For reviews & more info, check out our Touch of Red post. 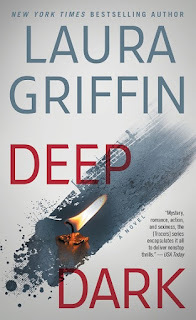 Laura Griffin is the New York Times bestselling author of the Tracers series, the Wolfe Sec series, the Alpha Crew series and several other novels. 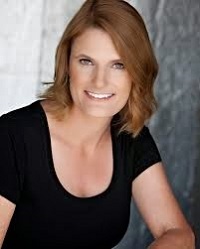 A two-time RITA Award winner and the recipient of the Daphne du Maurier Award, Laura lives in Austin, where she is working on her next book. 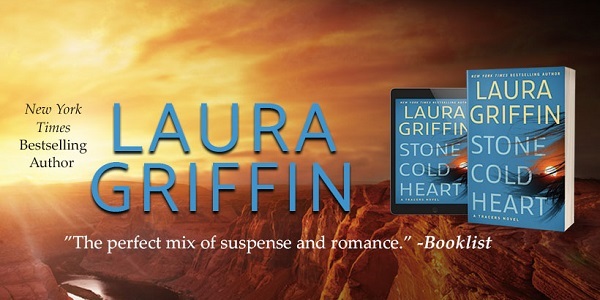 Reviewers on the Wicked Reads Review Team were provided a free copy of Stone Cold Heart (Tracers #13) by Laura Griffin to read and review.